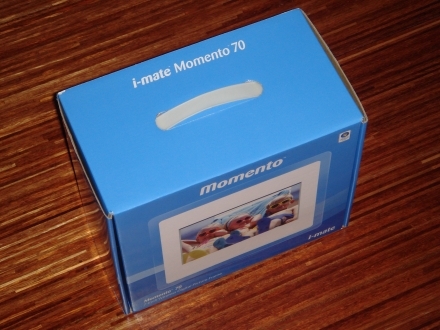 Thrown together by well-traveled ODM Inventec, i-mate's new Momento series of digital picture frames break some important ground. First of all, they do WiFi -- a seemingly obvious feature for this category of devices that's inexplicably missing from a majority of the mainstream models currently in the marketplace. 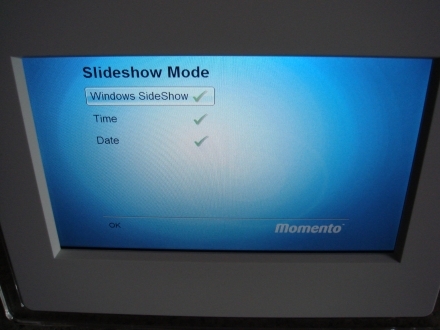 Next up, the Momento is among the very first commercially available devices to support Microsoft's SideShow concept for secondary displays that should (theoretically, anyway) untether all manner of information from the PCs on which it typically resides. In that respect, the Momento is very much a first-generation device -- but as a picture frame, we came into the hands-on expecting a certain level of refinement, now that they've had a few years to ripen on the vine. Does the unit deliver on its promise as a highly connected, Vista-compatible accessory? Does it deliver as a plain ol' frame, for that matter? We took the $200 Momento 70 -- the smaller of the two, clocking in at 7 inches of diagonal real estate -- for a test drive to get some answers. 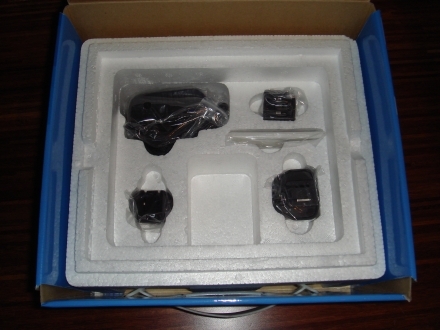 Opening the Momento's ample packaging reveals surprisingly little: you get a skimpy user's manual (short enough to qualify as a separate Getting Started pamphlet by many manufacturer's standards), an AC adapter with several interchangeable plugs for use in different countries, an RF remote control, and the device itself. Our first observation: styling traditionalists need not apply. Thanks to its white frame encased in clear acrylic, the Momento has a modern, vaguely Apple-esque appearance that won't blend if you're looking for a photo frame that just looks like a photo frame. Of course, that's just fine for many folks, and the company is promising replacement frames in black and pink -- a good start. Our advice to i-mate? Adding a good, old-fashioned wood frame to the accessory list would go a long way to making everyone happy here. With a traditional digital frame, right here is pretty much where our hands-on would end; you'd plug 'er in, slip in the memory card of your choice, and you're off to the races. With support for SD, MMC, SmartMedia, xD, and Memory Stick, you can go that route with the Momento, too -- but it's capable of so much more. The strength of the Momento really lies in its ability to keep the memory cards firmly planted in your camera where they belong by firing up the WiFi and pulling pictures down from the XP- or Vista-based box of your choice with Windows Media Connect (also known as "Media Sharing" in Windows Media Player 11) enabled. For us, setting up the Momento's WiFi connectivity was an exercise in frustration. 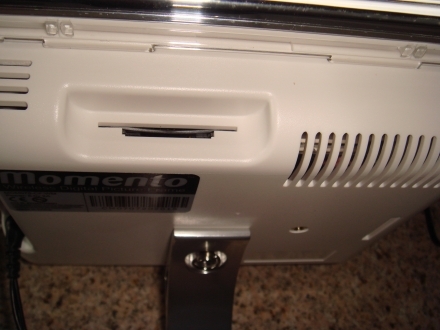 We eventually got it working, but only long after we suspect the average consumer would've given up and packed it for return. The madness began when we fired up the frame for the first time; it detected our 802.11g network right away and prompted us to enter the WPA key. Well, we did that. 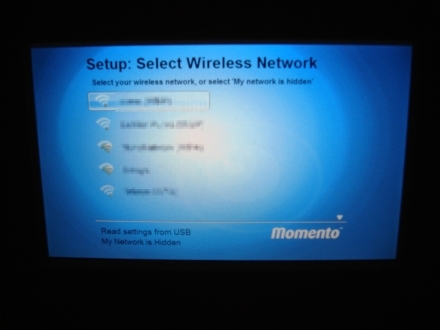 The Momento happily accepted it, even, and proceeded to the next screen where we were told no Windows Media Connect systems were found on the network. We knew that wasn't the case, so we rebooted and selected the network again. This time, instead of entering the WPA key, we selected the "Use existing settings" option, which froze the unit. We were able to freeze it this way again and again; the option simply doesn't work (ah, the joys of early firmware revisions!). Next we tried using the frame's USB port to load wireless settings via Windows Connect Now -- which it allegedly supports -- but were repeatedly issued an error that the USB drive couldn't be read. 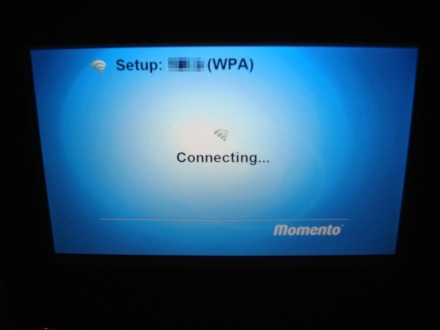 Anyway, we eventually discovered that the Momento was totally not cool with our Netgear WAG102's WPA / WPA2 hybrid functionality; setting it to pure WPA (and frustratingly changing all our existing devices to use WPA) cleared the issue right up and the frame happily connected. Going back to the Momento's basic functionality for a moment, we found the 800 x 400 screen was plenty crisp, bright, and contrasty for use in pretty much any environment. All menus and frame functionality (with the exception of power) is accessed exclusively from the very thin, very small remote control. While the remote was easy to use and RF is always a bonus over infrared, you'd be up a creek if you lost it -- no wonder i-mate is proclaiming replacements will be available from its website. 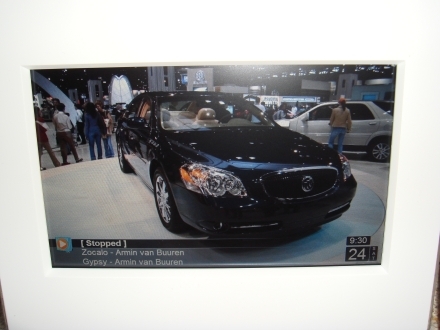 You get all the typical photo frame goodies like a power saver mode that can dim the display during certain hours, an on-screen calendar and clock, and a pretty healthy selection of slideshow transitions. We were disappointed to find that there was no simple "fade out / fade in" transition; the device felt a little sluggish while we were setting options, so we suppose it's possible there's not enough processing power under the hood to make a smooth fade. Now on to the cool part: PC connectivity. 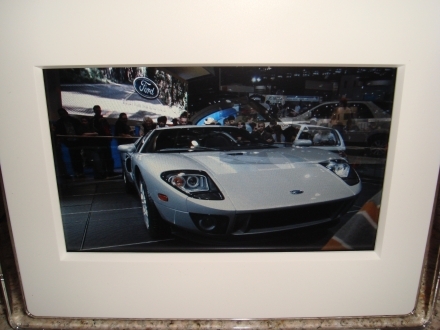 As we alluded to before, this is where the Momento shines. 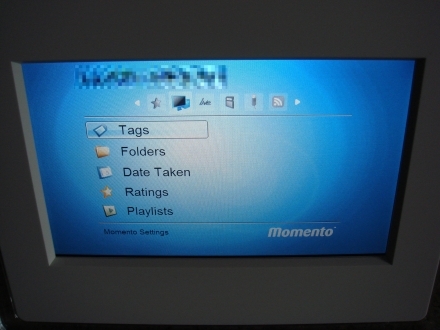 Selecting pictures to display that we had chosen to share from our Vista server was quick and painless; just press the remote's "Play" button on the folder you want to show. Of course, there are other ways to mix it up, too -- playlists, photos with certain ratings or tags, and so on. Another major push on i-mate's part is "MomentoLive," which goes head-to-head with services like Ceiva. 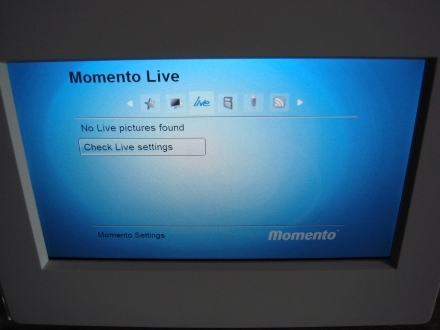 At $40 a year, MomentoLive offers an allowance of pictures that can be received through the MomentoLive website, email, or MMS, an online photo organization system, and what i-mate is calling "PictureStreams" -- basically a straight-to-frame RSS photo aggregator. That's all well and good, but what disturbs us a little is that i-mate is touting pushed firmware updates as one benefit of membership. We believe that functional firmware should come free of charge with any device you buy (and we think owners will, too) so we sincerely hope there'll be a way to get the updates at no cost. We didn't have an opportunity to put MomentoLive through its paces, but the device comes with a 90-day free trial -- plenty of time to figure out whether it's worth the forty bones annually. The most intriguing feature of the Momento is one that seems almost played down by i-mate: support for Microsoft SideShow. 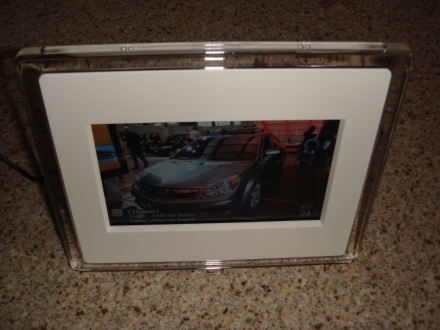 There's no mention of the support in the frame's terse manual, and it's mentioned only in passing on i-mate's website. We kinda think i-mate is missing the boat here -- SideShow holds the promise of turning digital picture frames from minimally functional entertainment devices with little practical function into seamless extensions of our desktop PCs. Sure, it's cool to be able to glance at photos out of your album and even cooler to get streamed new photos from friends and family, but overlaying useful information on the display should really take the device to a new level. Imagine our disappointment, then, at the utter dearth of SideShow gadgets in the wild. What we didn't realize before installing the frame was that SideShow gadgets are totally different beasts from Sidebar gadgets -- they're not interchangeable -- and while Microsoft's Sidebar gadget site is flush with interesting new gadgets, the equivalent site for SideShow gadgets shows an anemic four: Stocks (currently in beta), Web Pictures, Picture Viewer (also in beta), and a simple RSS viewer. No weather gadgets, no traffic gadgets, no nifty performance meters to monitor our PCs remotely. Will they come eventually? Yeah, maybe -- if SideShow takes off -- but in the meantime, it's little more than a novelty. 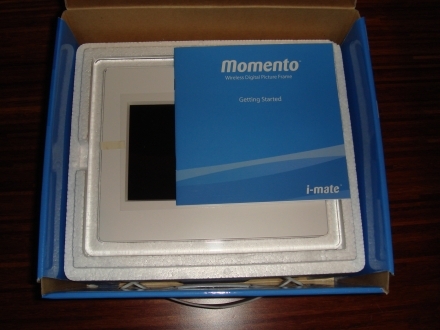 Installing the Momento as a SideShow-compatible secondary display on our PC was simple enough (though poorly documented) and involved downloading a driver from i-mate's site. Besides the four gadgets offered up from Microsoft's gallery, Vista rocks two out of the box: a Windows Mail gadget and a Media Player playlist gadget. 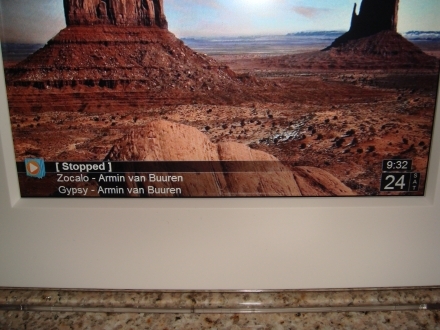 We enabled the Media Player one from the PC's control panel, and away we went. The gadget looks nice enough -- and it was plenty unobtrusive, thanks to its location and translucence -- but again, until more useful gadgets start hitting the pipeline, we're lukewarm on the feature. So is the Momento a wise purchase? At $300, our answer would be a solid "no" -- but at the $200 i-mate is asking for the 7-inch model, it's an interesting proposition because the premium you pay for the WiFi, USB port, audio support, and SideShow integration is virtually zero. We're guessing the firmware will only get better, SideShow gadgets will start to multiply, and in general, the device is going to only get better with age. If you're cool with the Momento's polarizing styling, it's worth a try.